The tropical belt – where large areas of South East Asia, India, Africa and parts of both North and South America are located – forms the biggest landmass in the world and has one of the highest numbers of rapidly developing cities. Coincidentally, architecture in these regions shares common problems, the most easily identifiable being the tropical conditions of climate and natural environment. The context for architecture here is fraught with conflicts between tradition and modernization, massive influx of rural poor into urban areas, poorly managed rapid urban development as well as the cultural and social strain of globalization. Many local and overseas architects, planners and city fathers are interested in the social and environmental dimensions of these areas that contribute towards short terms solutions and long term sustainable developments. 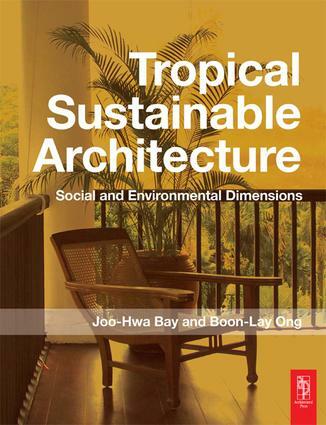 This book, developed from the first conference of the International Network for Tropical Architecture, supplies a wealth of information from experts worldwide covering the cultural, environmental and technical aspects of thinking, researching and designing for the tropics. "An essential source of inspiration"